I couldn’t be any happier ! The staff was extremely friendly and professional. Dr Ivanov is very charismatic as well asgenuine and honest about his work . Amy , one of the assistants as well as the doctor were very patient with me and answered all my questions in absolute detail . The office was very neat , organized and vibrant and on top of everything they offered me refreshments and made sure all my needs were met . I also received a complimentary Quip electric toothbrush for starting treatment . I would most definitely recommend this office to all my friends and family . I couldn’t be any happier ! The staff was extremely friendly and professional. Dr Ivanov is very charismatic as well as genuine and honest about his work . Amy , oneof the assistants as well as the doctor were very patient with me and answered all my questions in absolute detail . The office was very neat , organized and vibrant and on top of everything they offered me refreshments and made sure all my needs were met . I also received a complimentary Quip electric toothbrush for starting treatment . I would most definitely recommend this office to all my friends and family . Dr. Pavel Ivanov is Miami's Only Non-extraction and Non-surgical Orthodontist. Highly rated 5-Star Reviews on Google and Facebook Dr. Pavel Ivanov is committed to providing the best comprehensive Orthodontic care available to his patients. He employs the latest in Orthodontic technology and leverages all his considerable talent and skill to ensure optimum results and guarantee a pleasant experience for his patients. Dr. Ivanov is also a rock star in dental circles; he has been featured in Orthotown, ABC, Telemundo, Morning News, Amazon, and various magazines for his advanced technique and efforts in Orthodontics. Dr. Ivanov completed specialized training in Orthodontics and Dentofacial Orthopedics at Nova Southeastern University for an additional two and a half years longer than a regular dentist to provide individualized smiles, predictable results, and exceptional care for his patients. Dr. Ivanov commits himself to excellence in orthodontics and graduated first in his dental class of 129 dentists, a status that less than 1 percent of all practicing orthodontists obtain in their careers. He has 10+ years’ experience and is certified with dental braces, clear braces, and Invisalign to be able to treat the most challenging cases. Dr. Ivanov was awarded Masters of Science at NSU. Dr. Ivanov is also a member of various dental and orthodontic organizations and orthodontic forums. 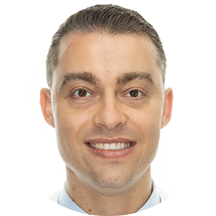 Outside of Orthodontics, Dr. Ivanov enjoys traveling, playing pool, and spending time outdoors. This has been one of my best experiences thus far with Dr. Ivanov. He is passionate about his work and very knowledgeable as well. I have been coming here a little over a year for my braces and the staff isalways so pleasant. My smile is getting better each and every month. I'm in and out for my appointments. If you need braces for kids or adults, this is the brace place orthodontics to check. Dr. Ivanov is the best brace dentist. Thank you so much for the exceptional service! You're appreciated. I cannot be any more happier with Dr. Ivanov and his marvelous staff. They are so awesome and have always been since day 1. I couldn't have asked for a better orthodontist for my son Adrian. My son is so happywith the process and results so far! And we just started. The wait time was basically no wait time. Can't wait to see the end. If you are looking for braces for kids, you need to check this braces place orthodontics. So thankful for Ivanov orthodontic experts! I was so impressed with this brace place orthodontics, and Dr. Ivanov and staff are without a doubt the best orthodontist office near me. The entire staff truly cares about their patients and makes them feel welcome. Everyone greets you asthough you're a friend, not just a customer like in other places. The front desk staff is super friendly and welcoming they even offered to make coffee for me. I found the best brace dentist and an affordable orthodontist! You will not regret I promise. Dr. Ivanov is the best doctor I have ever met in my life. Loved my first experienced the staff was amazing the place was cute and cozy. They where all attentive I love my orthodontist and his assistant that was caringfor me Amy. Dr. Ivanov was always checking on me throughout the procedure. The staff even called after I was home to make sure I was okay and comfortable with my new braces. I was even gifted ice cream! He is the best orthodontist in Biscayne Boulevard. If you are looking for an orthodontist near me, this is the brace place. I have already started recommending. I had been researching getting braces for what seemed like forever, so I had decided to go to an orthodontist consultation at Dr. Ivanov for its convenience (orthodontist near me), reviews, and the fact that I kept thinking about getting themfor a long time, so I might as well attempt it. I had went in with a somewhat skeptical mindset, as I didnt want to be swindled into something I couldn't afford, but I had left with confidence knowing that the orthodontic payment plans they made for me were very affordable, which put my mind at ease. The staff is very friendly and knowledgeable. Dr. Ivanov is the best orthodontist in Biscayne Boulevard.